Our Crowd Fund Title: Donate to Help Homeless Guinea Pigs! ADOPTIONS GREATLY NEEDED AT THIS TIME!! I.E. 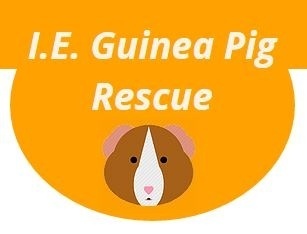 Guinea Pig Rescue is a small, non-profit rescue located in Southern California that rescues, rehabilites and finds new, loving homes for homeless, neglected and unwanted Guinea pigs in the Inland Empire region. Our mission is to give these animals a second chance at a wonderful life through rescue, rehab, education and love. We do not receive any money from the government, and run solely off of the money in our pockets and the few donations that we receive. Therefore, we are so grateful for any amount of donation that we receive. 110% of your proceeds go directly into the care of these Guinea pigs as they are awaiting their forever homes.